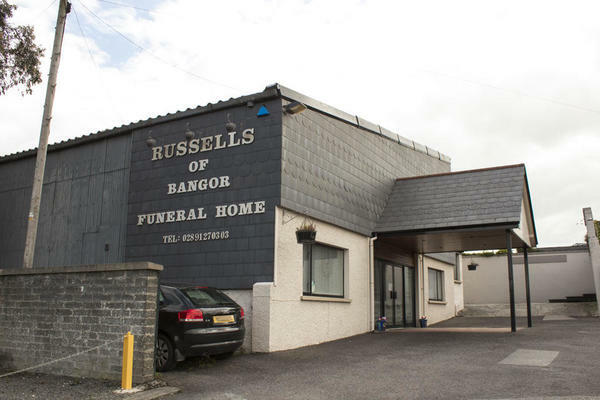 Russells of Bangor Funeral Directors are dedicated to providing bespoke funeral services, arranged with respect and dignity for your loved one. Our trained staff are always on hand to ensure your loved one receives the very best funeral care, allowing you to focus on getting the details of the service just right. Our funeral home in Bangor is ideally located with easy access from the surrounding areas including Crawfordsburn, Conlig and Groomsport. We have supported these local communities for many years, offering our consistently high standards of funeral care with utmost kindness and compassion. We treat every family that we help as if they were part of our own. We are a part of Dignity, which means that you can rest assured that your loved one is in good hands. We abide by the strict guidelines that come as being a part of the National Association of Funeral Directors, and we can draw upon the wide network that being part of Dignity allows for. Ultimately, this means that we can provide consistent quality, resulting in the perfect farewell for your loved one. We understand that losing a loved one is never easy, and we want you to know that we are here for you. Whether you need advice, guidance or support, you only need to give us a call. You can reach us 24 hours a day by telephone, so get in touch at a time that is best for you. Call us today on 028 9127 0303 to talk through your personal requirements. At Russells of Bangor Funeral Directors, we understand how special life is with those that you love. For us, every funeral is unique and personal. We have a service to fulfil every wish, with every detail carried out with the same uncompromising quality of care. From a traditional service, to a colourful woodland burial, your options are limitless with our Full Service Funeral. If you have a little more flexibility when it comes to arrangements, then we can provide a Simple Funeral for a lower cost. There is free car parking available at the branch. Follow the one way system onto High Street; we are along the second road on left. Our staff are available 24 hours a day on 028 9127 0303 if you require our services outside of these hours. An in valuable service at such a sad and difficult time. Staff were very supportive, professional, patient, understanding and friendly... I would definitely recommend Russell's.